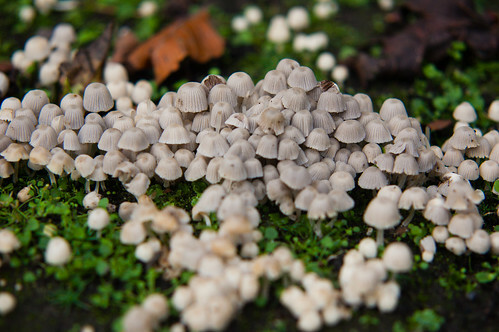 Also known as the trooping crumble cap, this is a species of inkcap which grows in dense clusters. This grouping is showing a characteristic variation in colour between the individual fruiting bodies. Growing by the entrance to Compton Park on October 25th.